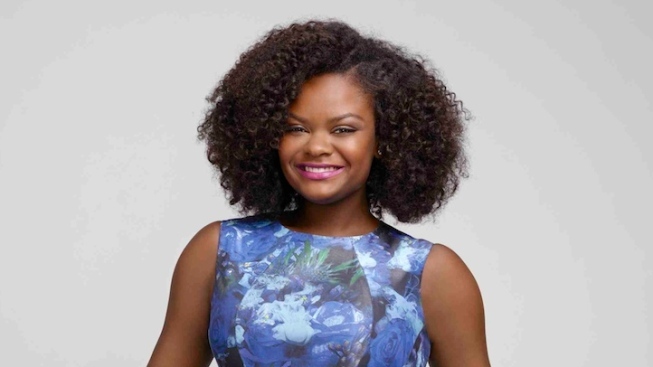 Shanice Williams Will Star as Dorothy in NBC's "The Wiz Live!" Shanice Williams will star as Dorothy in "The Wiz Live!" Meet Shanice Williams -- the star of NBC's upcoming live TV adaptation of the Broadway classic "The Wiz." The 18-year-old New Jersey native was tapped for the lead role of Dorothy in the December TV production, which will retell L. Frank Baum’s “The Wonderful Wizard of Oz” with an all-black cast set in a fantasy version of New York City. The young actress joins previously announced stars Queen Latifah, who will play the Wiz, Mary J. Blige, who will play the Wicked Witch of the West, and David Allen Grier, who was cast as the Cowardly Lion. Stephanie Mills, who played Dorothy in the original Broadway production, will take on the role of Auntie Em..
Meet The New Star of "The Wiz Live!" New Jersey native Shanice Williams stops by to chat about being cast as Dorothy in "The Wiz Live!" and how she is preparing for the role. Like those two productions, “The Wiz Live!” will be produced by Craig Zadan and Neil Meron. But unlike previous years, NBC will transfer its revival of “The Wiz” to Broadway for the 2016-17 season. It's not clear if any of NBC’s cast will reprise their roles on Broadway. It’ll be the first time Grammy winners Blige and Latifah have appeared in a live musical, despite both having background in movie musicals. Blige appeared alongside Tom Cruise in 2012’s “Rock of Ages,” while Latifah starred in 2007’s “Hairspray” and 2002’s “Chicago,” for which she was nominated for an Oscar. Cirque du Soleil will co-produce alongside Zadan and Meron, meaning there’s a good chance our residents of the Land of Oz will be performing some high-flying circus acts. The hit 1978 film version starred Diana Ross and Michael Jackson as Dorothy and the Scarecrow, respectively.